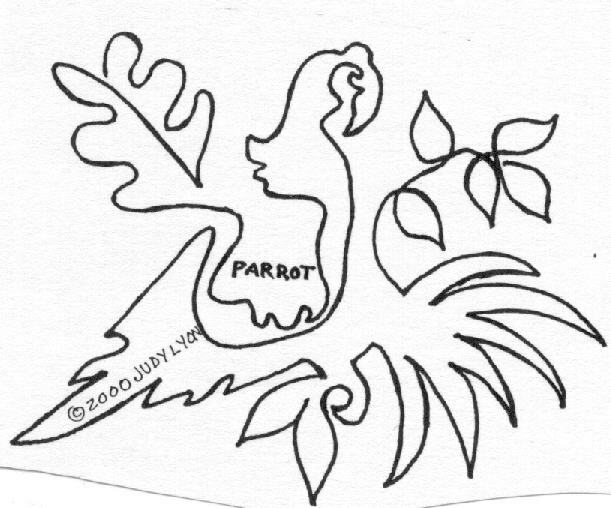 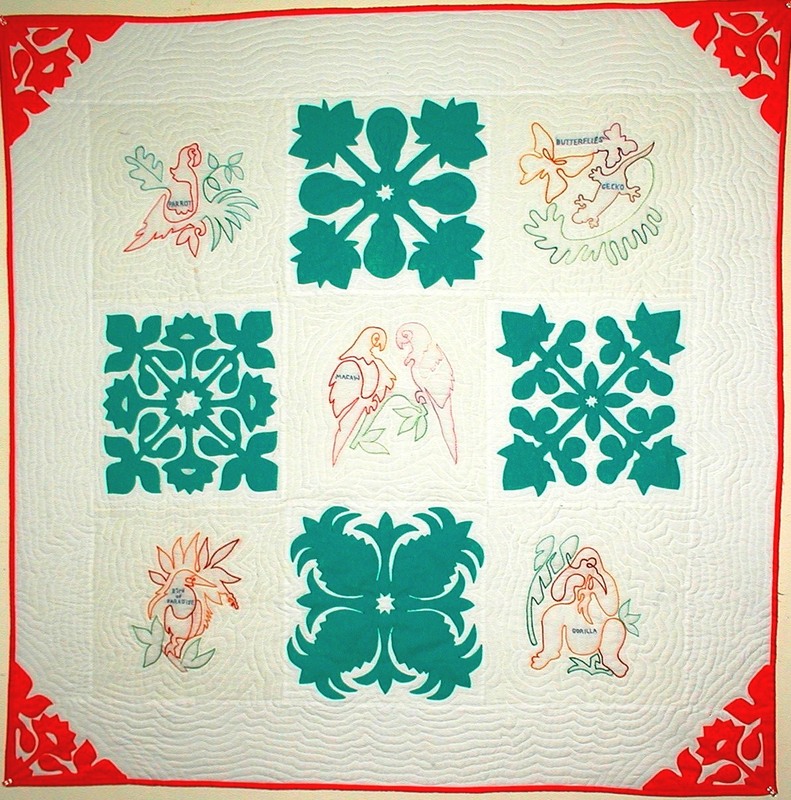 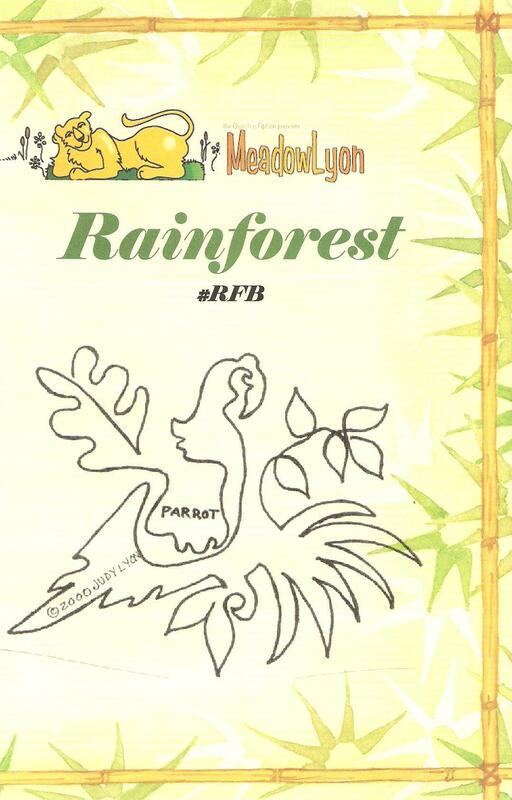 Rainforest includes the following 12 designs: Monkey, Orangutan, Parrot, Bird of Paradise, Monitor, Gecko and Butterflies, Frilled Lizard, Snake, Hummingbird, Ape, Macaws, and Gorilla. 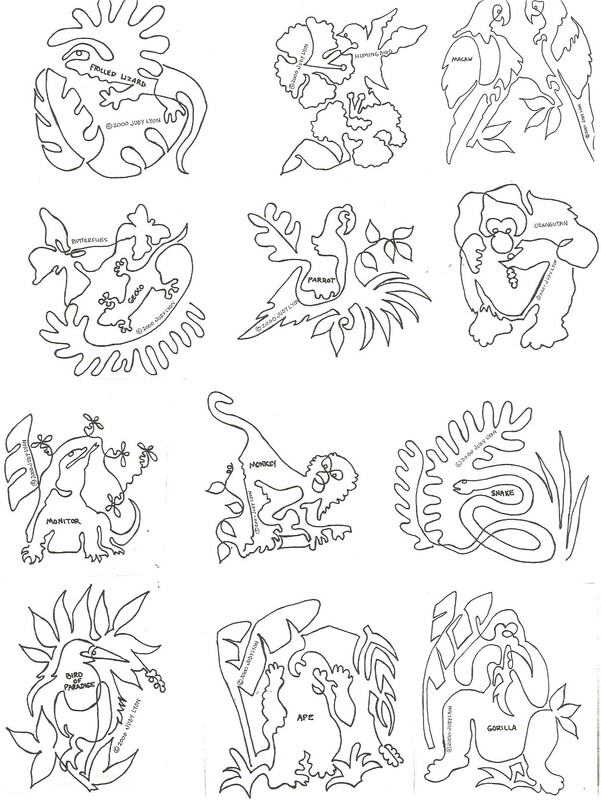 You can also find most of these animals in our “In The Wild – 52 Favorite Animals” book. 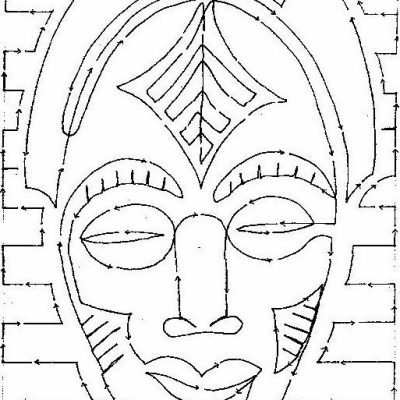 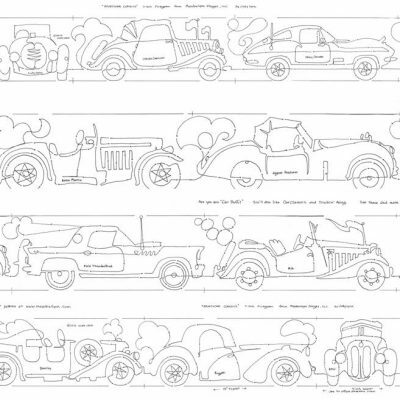 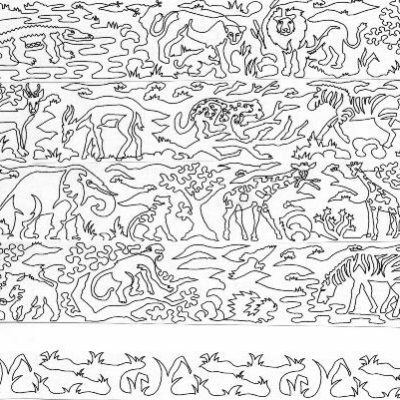 We have discontinued printing paper copies of this pattern. 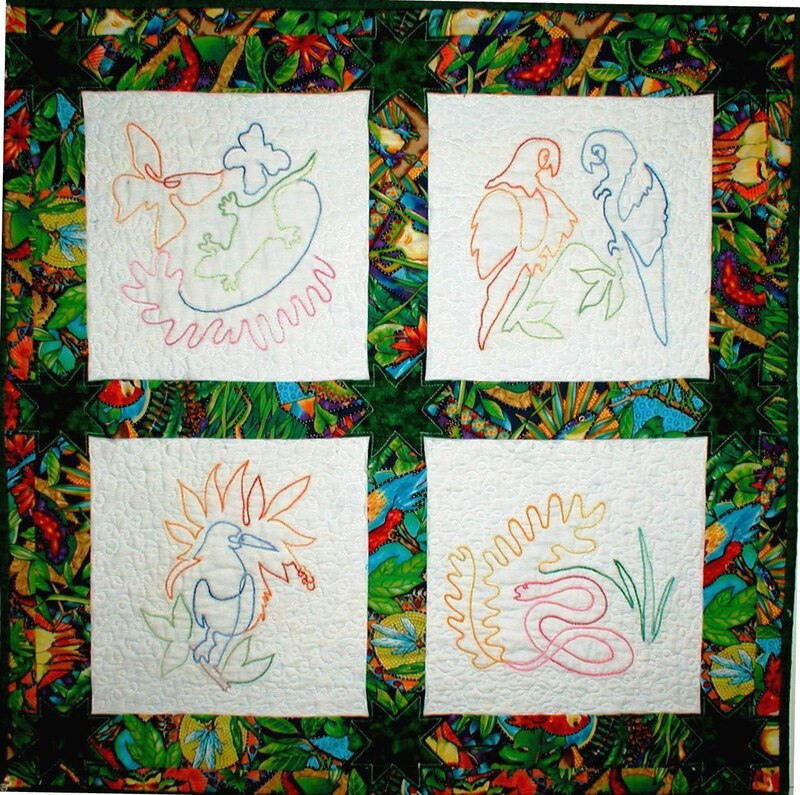 When our current supply of paper copies of this pattern are out of stock, you can save money by downloading the very same blocks in Rainforest PDF 8″ Block Pattern.